The Kingdom of Tondo (Filipino: Kaharian ng Tondo; Baybayin: Pre-Kudlit:ᜎᜓᜐᜓ (Lusu), Post-Kudlit: ᜃᜑᜍᜒᜀᜈ᜔ ᜅ᜔ ᜆᜓᜈᜇᜓ ; Kapampangan: Kaarian ning Tundo; Bikol: Kahadean ini Tundo; Ilocano: Pagarian ti Tondo; Chinese: 東都; pinyin: dōngdū; Malay: Kerajaan Tundun), also referred to as Tundo, Tundun, Tundok, Tung-lio, Lusung, or Ancient Tondo, was a mandala which was located in the Manila Bay area, specifically north of the Pasig River, on Luzon island. (p71) It is one of the settlements mentioned by the Philippines' earliest historical record, the Laguna Copperplate Inscription (900 CE). 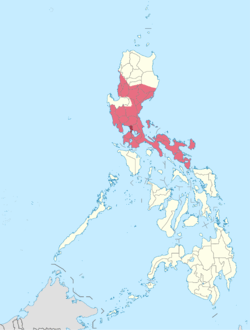 Its territories stretched from the mouth of the Pasig river to the Kapampangan chiefdoms up to the Southern Luzon southwards to Bicolandia, making it the largest  kingdom that covered the most of Luzon. Originally an Indianized kingdom in the 10th century, Tondo built upon and capitalized on being central to the long-existing ancient regional trading routes throughout the archipelago to include among others, initiating diplomatic and commercial ties with China during the Ming Dynasty. 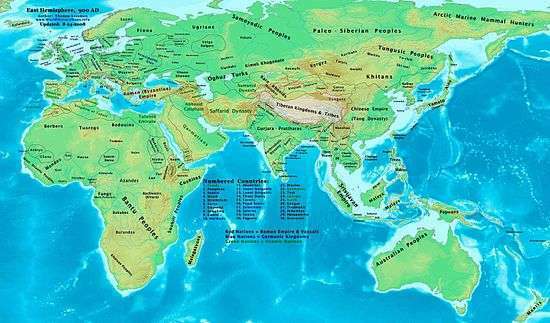 Thus it became an established force in trade throughout Southeast Asia and East Asia. (See Luções). Tondo's regional prominence further culminated during the period of its associated trade and alliance with Brunei's Sultan Bolkiah, when around 1500 its peak age as a thalassocratic force in the northern archipelago was realized. When the Spanish first arrived in Tondo in 1570 and defeated the local rulers in the Manila Bay area in 1591, Tondo came under the administration of Manila (a Spanish fort built on the remains of Kota Seludong), ending its existence as an independent polity. This subjugated Tondo continues to exist today as a district of the city of Manila. The world in 900 AD and the location of Tondo, also known as Lusung and its neighbors. The bay area in which Tondo can be found was named Lusong or Lusung, a name thought to have been derived from the Tagalog word for a large wooden mortar used in dehusking rice. This name was eventually used as the modern name of the entire island of Luzon. Apparently, the document was a sort of receipt that acknowledged that the man named Namwaran had been cleared of his debt to the King of Tundun, which in today's measure would be about 926.4 grams of gold. The article mentioned that other places in the Philippines and their Rulers: Pailah (Lord Minister Jayadewa), Puliran Kasumuran (Lord Minister), Binwangan (unnamed). It has been suggested that Pailah, Puliran Kasumuran, and Binwangan are the towns of Paila, Pulilan, and Binwangan in Bulacan, but it has also been suggested that Pailah refers to the town of Pila, Laguna. More recent linguistic research of the Old Malay grammar of the document suggests the term Puliran Kasumuran refers to the large lake now known as Laguna de Ba'y (Puliran), citing the root of kasumuran, *sumur as Old Malay for well, spring or freshwater source. Hence ka-sumur-an defines a water-source (in this case the freshwater lake of Puliran itself). While the document does not describe the exact relationship of the King of Tundun with these other rulers, it at least suggests that he was of higher rank. Rajah Alon (c.1200), King of Tondo and son of Lakan Timamanukum, expanded the Kingdom of Tondo by conquering neighboring territories such as Kapampangan chiefoms, Kumintang (Batangas) and Bicol. He was succeeded by his grandson Rajah Gambang. The Tondo Dynasty lasted until the end of the 15th century, when the Sultanate of Brunei conquered it so as to strengthen Brunei's Chinese trade links. The expansion of Tondo Dynasty under Rajah Alon in 1200s. Bitukang Manók - A realm founded by Dayang Kalangitan, Now called Santa Cruz, Manila. Sapa - now Santa Ana, Manila (Also the capital of the Namayan territory). Tagig - Where BCG stand's today. The Kumintang Ilaya - Now or part the Batangas Province. Tangway - Now called the province of Cavite. Morong - Now Rizal Province. Tayabas - Now Quezon Province. Ibalon - What is now the Bicol region. Rawis - An ancient settlement Somewhere in the area of Mt.Mayon, Albay in Bicol region (mentioned in the tale of Daragang Magayon) The area are now part of Legazpi, Albay. It is believed that the people of Tondo kingdom were related to Malay of Malay peninsula and Sumatra. (p71) Since at least the 3rd century, The people of Tondo had developed a culture which is predominantly Hindu and Buddhist Society, They are ruled by a Lakan which is belong to a Caste of Maharlika were the feudal warrior class in ancient Tagalog society in Luzon the Philippines translated in Spanish as Hidalgos, and meaning freeman, libres or freedman. They belonged to the lower nobility class similar to the Timawa of the Visayan people.In modern Filipino, however, the term itself has erroneously come to mean "royal nobility", which was actually restricted to the hereditary Maginoo class. The more complex social structure of the Tagalogs was less stable during the arrival of the Spaniards because it was still in a process of differentiating. A Jesuit priest Francisco Colin made an attempt to give an approximate comparison of it with the Visayan social structure in the middle of the 17th century. The term datu or lakan, or apo refers to the chief, but the noble class to which the datu belonged to was known as the maginoo class. Any male member of the maginoo class can become a datu by personal achievement. At the bottom of the social hierarchy are the members of the alipin class. There are two main subclasses of the alipin class . The aliping namamahay who owned their own houses and served their masters by paying tribute or working on their fields were the commoners and serfs, while the aliping sa gigilid who lived in their masters' houses were the servants and slaves. Tondo had a rich tradition of pottery Japanese texts mentioned trading expeditions to the island of Rusun (Luzon) for the highly prized Rusun and Namban jars occurred. Japanese texts were very specific about these jars being made in Luzon 呂宋. The Tokiko, for example, calls the Rusun and Namban jars, Ru-sun tsukuru or Lu-sung ch'i (in Chinese), which means simply "made in Luzon." These Rusun jars, which had rokuru (wheel mark), were said to be more precious than gold because of its ability to act as tea canisters and enhance the fermentation process. clay jars used for storing green tea and rice wine with Japan flourished in the 12th century, and local Tagalog, Kapampangan and Pangasinense potters had marked each jar with Baybayin letters denoting the particular urn used and the kiln the jars were manufactured in. Certain kilns were renowned over others and prices depended on the reputation of the kiln. Of this flourishing trade, the Burnay jars of Ilocos are the only large clay jar manufactured in Luzon today with origins from this time. 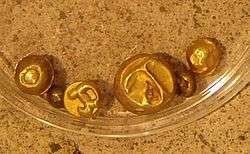 The Piloncitos, a type of Gold nuggets with baybayin Ma characters. use as one of the early currency along with Gold rings. 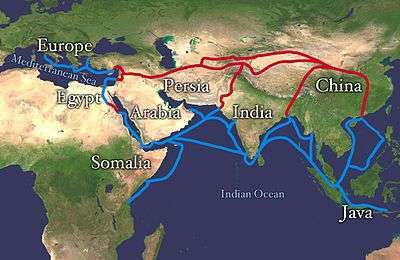 The route of the Silk Road. The people of Tondo were good agriculturists, they lived through farming, rice planting and aquaculture, (specially in lowland areas). A report during the time of Miguel López de Legazpi noted of the great abundance of rice, fowls, wine as well as great numbers of carabaos, deer, wild boar and goat husbandry in Luzon. In addition, there were also great quantities of cotton and colored clothes, wax, wine, honey and date palms produced by the native peoples, rice, cotton, swine, fowls, wax and honey abound. The use of rice paddies in Pila can be traced to prehistoric times, as evidenced in the names of towns such as Pila, Laguna, whose name can be traced to the straight mounds of dirt that form the boundaries of the rice paddy, or "Pilapil." Duck culture was also practiced by the natives, particularly those around Pateros and where Taguig City stands today. This resembled the Chinese methods of artificial incubation of eggs and the knowledge of every phase of a duck's life. This tradition is carried on until modern times of making balut. Many of the barangay municipalities were, to a varying extent, under the de jure jurisprudence of one of several neighboring empires, among them the Malay Srivijaya, Javanese Majapahit, Po-ni, Malacca, Indian Chola , Champa , Burma and Khmer empires. Trading links with Sumatra, Borneo, Java, Malay Peninsula, Indochina, China, Japan, India and Arabia. A thalassocracy had thus emerged based on international trade. In mid 14th century, the Majapahit empire mentioned in its manuscript Nagarakretagama, written by Prapanca in 1365—that the area of Selurong (Majapahit term for Luzon or Maynila) and Solot (Sulu) were parts of the empire. The true nature of this Majapahit influence is still a subject of study. As the geographical, logistical and political constraint of the era suggests, that instead of conventional colonization, Majapahit may only exercised minimal ceremonial suzerainty and only claimed trade monopoly of its tributaries. It is likely that Majapahit fleet seldom sailed to its peripheral realm as far north as Luzon. Most often Majapahit left polities of its farthest realm intact, without any further administrative integration. The fact whether Tondo was a tributary state of Majapahit or not, is still a subject of debate. Those who doubted the validity of Nagarakretagama, pointed out that the manuscript was composed as a eulogy for their emperor Hayam Wuruk, thus not accountable as historical source. Whether an actual battle between Tondo and Majapahit forces ever took place—or just a speculation, is still a subject of debate, due to scarcity of historical records and evidences. Nevertheless, the report of clash between naval forces of Sulu and Majapahit was recorded, when the pirates hailed from Sulu attacked Barune (Brunei) which was a Majapahit vassal, and subsequently repelled by Majapahit forces. Chinese source mentioned that in 1369, the pirates of Sulus attacked Po-ni (Brunei), looting it of treasure and gold. A fleet from Majapahit succeeded in driving away the Sulus, but Po-ni was left weaker after the attack. 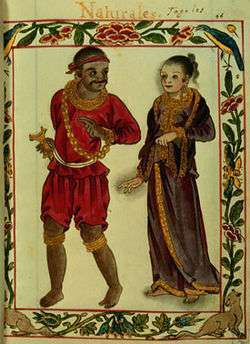 Pires noted that they (The Lucoes or people from Luzon) were "mostly heathen" and were not much esteemed in Malacca at the time he was there, although he also noted that they were strong, industrious, given to useful pursuits. Pires' exploration led him to discover that in their own country, the Luções had "foodstuffs, wax, honey, inferior grade gold," had no king, and were governed instead by a group of elders. They traded with tribes from Borneo and Indonesia and Philippine historians note that the language of the Luções was one of the 80 different languages spoken in Malacca When Magellan's ship arrived in the Philippines and East Timor, Pigafetta noted that there were Luções there collecting sandalwood. The Luções' activities weren't limited to trade however. They also had a reputation for being fierce warriors. When the Portuguese arrived in Southeast Asia in 1500 AD, they witnessed the Lucoes or the Lusung's active involvement in the political and economic affairs of those who sought to take control of the economically strategic highway of the Strait of Malacca. For instance, the former sultan of Malacca decided to retake his city from the Portuguese with a fleet of ships from Lusung in 1525 AD. 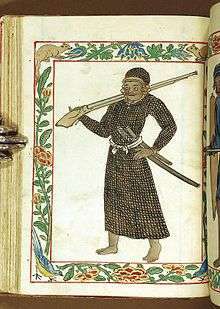 Pinto noted that there were a number of them in the Islamic fleets that went to battle with the Portuguese in the Philippines during the 16th century. The Sultan of Aceh gave one of them (Sapetu Diraja) the task of holding Aru (northeast Sumatra) in 1540. Pinto also says one was named leader of the Malays remaining in the Moluccas Islands after the Portuguese conquest in 1511. Pigafetta notes that one of them was in command of the Brunei fleet in 1521. 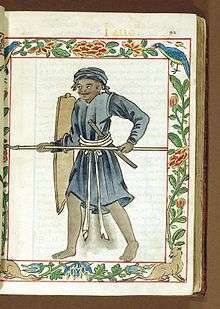 A Warrior equipped with Sibat and Kalasag (Sheild) A Warrior equipped with Arquebuse. The Dutch anthropologist and Hanunó'o script expert Antoon Postma has concluded that the Laguna Copperplate Inscription also mentions the places of Tondo (Tundun); Paila (Pailah), now an enclave of Barangay San Lorenzo, Norzagaray; Binuangan (Binwangan), now part of Obando; and Pulilan (Puliran); and Mdaŋ (the Javanese Kingdom of Medang), in present-day Indonesia. Apparently, the Philippine Kingdom of Tondo and the Medang Kingdom of Indonesia were known allies and trading partners. The next historical reference to Ancient Tondo can be found in the Ming Shilu Annals (明实录]), which record the arrival of an envoy from Luzon to the Ming Dynasty (大明朝) in 1373. Her rulers, based in their capital, Tondo (Chinese: 東都; pinyin: dōngdū) were acknowledged not as mere chieftains, but as kings (王). This reference places Tondo into the larger context of Chinese trade with the aboriginals of the Philippine archipelago. This powerful presence in the trade of Chinese goods in 16th-century East Asia was also felt strongly by Japan. The Ming Empire treated Luzon traders more favorably than Japan by allowing them to trade with China once every two years. Japan was only allowed to trade once every 10 years. Japanese merchants often had to resort to piracy in order to obtain much sought after Chinese products such as silk and porcelain. Famous 16th-century Japanese merchants and tea connoisseurs like Shimai Soushitsu (島井宗室) and Kamiya Soutan (神屋宗湛) established branch offices on the island of Luzon. One famous Japanese merchant, Luzon Sukezaemon (呂宋助左衛門), went as far as to change his surname from Naya (納屋) to Luzon (呂宋). Around the year 1500, the Sultanate of Brunei under Sultan Bolkiah attacked the kingdom of Tondo and established a city with the Malay name of Selurong (later to become the city of Maynila) on the opposite bank of Pasig River. The traditional Rajahs of Tondo, the Lakandula, retained their titles and property but the real political power came to reside in the House of Soliman, the Rajahs of Manila. Islamization by forced conversion of the citizens of Tondo and Manila divided the area into Muslim domains. The Bruneians installed the Muslim rajahs, Rajah Suleyman and Rajah Matanda in the south (now the Intramuros district) and the Buddhist-Hindu settlement under Raja Lakandula in northern Tundun (now Tondo.) With the rise of Islam, other religions in the archipelago gradually disappeared. on the opposite bank of Pasig River. The traditional rulers of Tondo, the Lakandula, retained their titles and property upon embracing Islam but the real political power transferred to the master trader House of Sulayman, the Rajahs of Manila. Spanish colonizers from Mexico first came to the Manila Bay area and its settlements in June 1570, while Miguel López de Legazpi was searching for a suitable place to establish a capital for the new territory. Having heard from the natives of a prosperous Moro settlement on the island of Luzon, López de Legazpi had sent Martín de Goiti to investigate. When Maynila's ruler, Rajah Sulaiman II, refused to submit to Spanish sovereignty, de Goiti attacked. He eventually defeated Rajah Sulaiman, claimed Maynila in the name of the King of Spain, then returned to report his success to López de Legazpi, who was then based on the island of Panay. López de Legazpi himself returned to take the settlement on 19 June 1571. When the Spanish forces approached, the natives burned Maynila down and fled to Tondo and other neighboring towns. López de Legazpi began constructing a fort on the ashes of Maynila and made overtures of friendship to Lakandula of Tondo, who accepted. The defeated Sulaiman refused to submit to the Spaniards, but failed to get the support of Lakandula or of the Kapampangan and Pangasinan settlements to the north. When Sulaiman and a force of Muslim warriors attacked the Spaniards in the battle of Bangcusay, he was finally defeated and killed. This defeat marked the end of rebellion against the Spanish among the Pasig river settlements, and Lakandula's Tondo surrendered its sovereignty, submitting to the authority of the new Spanish capital, Manila. 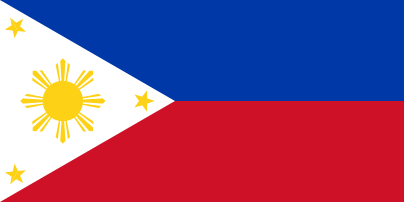 In the on June 3, 1571 marked the last resistance by locals to the occupation and colonization by the Spanish Empire of Manila in the The Battle of Bankusay Channel on June 3, 1571 marked the last resistance by locals to the occupation and colonization by the Spanish Empire of Manila, the Philippines. Tarik Sulayman, the chief of Macabebes, refused to ally with the Spanish and decided to mount an attack at Bankusay Channel on Spanish forces, led by Miguel López de Legazpi. Sulayman's forces were defeated, and he was killed. The Spanish victory in Bankusay and Legaspi's alliance with Lakandula of Kingdom of Tondo, enabled the Spaniards to establish themselves throughout the city and its neighboring towns. the Philippines. Tarik Sulayman, the leader of the Macabebes, refused to ally with the Spanish and decided to mount an attack at Bankusay Channel on Spanish forces, led by Miguel López de Legazpi. Sulayman's forces were defeated, and he was killed. The Spanish victory in Bankusay and Legaspi's alliance with Lakandula of the Kingdom of Tondo, enabled the Spaniards to establish themselves throughout the city and its neighboring towns. The Conspiracy of the Maharlikas, also referred to as the Revolt of the Lakans from 1587–1588 was a plot against Spanish colonial rule by the Tagalog and Kapampangan noblemen, or Datus, of Manila and some towns of Bulacan and Pampanga, in the Philippines. They were the indigenous rulers of their area or an area yet upon submission to the might of the Spanish was relegated as mere collector of tributes or at best Encomenderos that need to report to a Spanish Governor. It was led by Agustín de Legazpi, the son of a Maginoo of Tondo (one of the chieftains of Tondo), born of a Spanish mother given a Hispanized name to appease the colonizers, grandson of conquistador Miguel López de Legazpi, nephew of Lakan Dula, and his first cousin, Martin Pangan. The datus swore to rise up in arms. 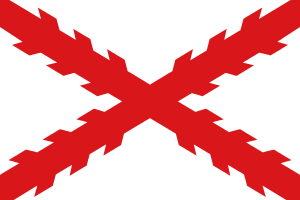 The uprising failed when they were betrayed to the Spanish authorities by Antonio Surabao (Susabau) of Calamianes. In 1587, Magat Salamat, one of the children of Lakan Dula, and with his Spanish enforced name Augustin de Legazpi, Lakan Dula's nephew, and the lords of the neighboring areas of Tondo, Pandakan, Marikina, Kandaba, Nabotas and Bulakan were martryed for secretly conspiring to overthrow the Spanish colonizers. Stories were told that Magat Salamat's descendants settled in Hagonoy, Bulacan and many of his descendants spread from this area. Legendary rulers can be found in the oral tradition in Philippine Mythology, which having a uncertain historical /archeological evidence of their reign. or Amaron Amaron is like most of the male Filipino mythological heroes, he is described as an attractive well-built man who exemplifies great strength. Ama-ron is unique among other Filipino legends due to the lack of having a story on how he was born which was common with Filipino epic heroes. Uncertain possibly Iron Age. Gat Pangil Gat Pangil was a chieftain in the area now known as Laguna Province, He is mentioned in the origin legends of Bay, Laguna,Pangil, Laguna, Pakil, Laguna and Mauban, Quezon, all of which are thought to have once been under his domain. Uncertain possibly Iron Age. (Known only in the LCI as the King who gave the pardon to Lord Namwaran and his wife Dayang Agkatan and their daughter named Bukah for their excessive debts in 900 AD.) 900? ? Lakan Timamanukum Father of Rajah Alon, he ruled when Tondo become a fortified Mandala at the mouth of Pasig River. 1150? ? (Son of Lakan Timamanukum, he expanded the Tondo territory from Ilocandia to Bicolandia.) 1200? ? another ruler who used the title Senapati or Admiral. 1390? 1417? (or also known as Sukwu (朔霧) means "northern mist" , According to the Dongxi Yanggao (東西洋考) Abdicated .) 1417? 1430? (later converted his faith to Islam.) 1430? 1450? Kalangitan Dayang Kaylangitan, Queen of Namayan and Tondo. (the only recorded queen regnant of the pre-Hispanic Philippine Kingdom of Tondo. The eldest daughter of Rajah Gambang and co-regent with her husband, Rajah Lontok, she is considered one of the most powerful rulers in the kingdom's history.) 1450? 1515? (A puppet Rajah installed by Sultan Bolkiah .) 1515? 1558? There was nearby state, Ma-i or Mayi, whose ruler used 30 people as human sacrifices in his funeral, the subordinates of Mayi were Baipuyan (Babuyan Islands), Bajinong (Busuanga), Liyin (Lingayen) and Lihan (present day Malolos City). Malolos is a coastal town and one of the ancient settlement around Manila Bay near Tondo. 1 2 Schliesinger, Joachim (2016). Origin of Man in Southeast Asia 4: Early Dominant Peoples of the Maritime Region. Volume 4 dari Origin of Man in Southeast Asia. Booksmango. ISBN 9781633237285. ↑ Joaqiun, Nick (1990). Manila, My Manila: A History for the Young. City of Manila: Anvil Publishing, Inc. ISBN 978-9715693134. ↑ Potet, Jean-Paul G. (2013). Arabic and Persian Loanwords in Tagalog. p. 444. ISBN 9781291457261. 1 2 Morrow, Paul (2006-07-14). "The Laguna Copperplate Inscription". Retrieved 2008-02-05. ↑ Tiongson, Jaime (2006-11-29). "Pailah is Pila, Laguna". Retrieved 2008-02-05. ↑ Santos, Hector (1996-10-26). "The Laguna Copperplate Inscription". Retrieved 2008-02-05. ↑ Pike, John. "Tondo (Tongdo, Tongdo, Ytondo, Tundun, Tung-lio)". Globalsecurity.org. ↑ "About Pasay – History: Kingdom of Namayan". pasay city government website. City Government of Pasay. Archived from the original on 2008-01-20. Retrieved 2008-02-05. 1 2 Tiongson, Jaime F. (2010-08-08). "Laguna Copperplate Inscription: A New Interpretation Using Early Tagalog Dictionaries". Bayang Pinagpala. Retrieved on 2011-11-18. ↑ "History of Pila - A Glorious Past". Retrieved June 15, 2014. ↑ Scott, William Henry (1992). 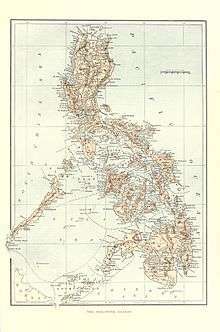 Looking for the Prehispanic Filipino and Other Essays in the Philippine History. Quezon City: New Day Publishers. ISBN 971-10-0524-7. ↑ Cf. William Henry Scott, Cracks in the Parchment Curtain, Quezon City: 1998, pp. 124-125. ↑ Cf. William Henry Scott, Cracks in the Parchment Curtain, Quezon City: 1998, p. 125. ↑ Kekai, Paul. (2006-09-05) Quests of the Dragon and Bird Clan: Luzon Jars (Glossary). Sambali.blogspot.com. Retrieved on 2010-12-19. ↑ Malkiel-Jirmounsky, Myron (1939). "The Study of The Artistic Antiquities of Dutch India". Harvard Journal of Asiatic Studies. Harvard-Yenching Institute. 4 (1): 59–68. doi:10.2307/2717905. JSTOR 2717905. ↑ Day, Tony & Reynolds, Craig J. (2000). "Cosmologies, Truth Regimes, and the State in Southeast Asia". Modern Asian Studies. Cambridge University Press. 34 (1): 1–55. doi:10.1017/S0026749X00003589. JSTOR 313111. 1 2 Pigafetta, Antonio (1969) . "First voyage round the world". Translated by J.A. Robertson. Manila: Filipiniana Book Guild. ↑ Barros, Joao de, Decada terciera de Asia de Ioano de Barros dos feitos que os Portugueses fezarao no descubrimiento dos mares e terras de Oriente , Lisbon, 1777, courtesy of William Henry Scott, Barangay: Sixteenth-Century Philippine Culture and Society, Quezon City: Ateneo de Manila University Press, 1994, page 194. 1 2 Pinto, Fernao Mendes (1989) . "The travels of Mendes Pinto.". Translated by Rebecca Catz. Chicago: University of Chicago Press. ↑ Antoon, Postma. "The Laguna Copper-Plate Inscription: Text and Commentary". Loyola Heights, Quezon City, the Philippines: Philippine Studies, Ateneo de Manila University. p. 200. Retrieved 24 June 2014. ↑ Solheim, Wilhelm G., II (2006). Archaeology and Culture in Southeast Asia: Unraveling the Nusantao. Diliman, Quezon City: University of the Philippines Press. p. 316. ISBN 971-542-508-9. 1 2 "Embassy Updates: China-Philippine Friendly Relationship Will Last Forever" (Press release). Embassy of the People's Republic of China in the Republic of the Philippines. October 15, 2003. Retrieved 2008-02-05. ↑ Ebrey, Patricia Buckley (1999). Cambridge Illustrated History of China. Cambridge University Press. p. 211. ISBN 0-521-66991-X. 1 2 San Agustin, Gaspar de. Conquistas de las Islas Filipinas 1565–1615 (in Spanish and English). Translated by Luis Antonio Mañeru (1st bilingual ed [Spanish and English] ed.). Intramuros, Manila, 1998: Pedro Galende, OSA. Scott, William Henry (1994). Barangay: Sixteenth Century Philippine Culture and Society. Quezon City: Ateneo de Manila University Press. ISBN 971-550-135-4. ↑ Gardner, Robert (1995-04-20). "Manila – A History". Philippine Journeys. Retrieved 2008-02-05. ↑ Santiago, Luciano P.R., The Houses of Lakandula, Matanda, and Soliman [1571–1898]:Genealogy and Group Identity, Philippine Quarterly of Culture and Society 18 . 1 2 "lakandula". Archived from the original on 2008-02-24. Retrieved 2008-10-18. ↑ Wang Zhenping (2008). "Reading Song-Ming Records on the Pre-colonial History of the Philippines" (PDF). Journal of East Asian Cultural Interaction Studies. 1: 249–260. ISSN 1882-7756.